Lotta Lepistö has taken the victory of the first stage at the Healthy Ageing Tour. The rider of Trek-Segafredo was the strongest at the final sprint, beating Lisa Klein and Christine Majerus. The first stage of the Dutch race was 102.5 kilometres long divided in a 15.2-kilometre circuit in and around the city of Borkum. The competition was aggressive and the windy conditions made the day challenging. At around 45 kilometres to go, a group of 14 riders managed to break free and it managed to maintain the gap with the peloton until the end. 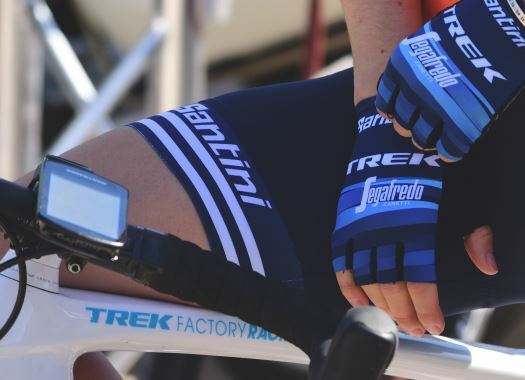 The group included Trek-Segafredo's Ellen van Dijk, who is the team's card for the General Classification aspirations, and Lotta Lepistö, who aimed to get the stage's win. "Ellen helped me in the last kilometre to stay near the front and big thanks to her," said Lepistö. "I had to close a gap to Amy Pieters in the last corner, and then two riders tried to go over me and crashed, but I had a good line still so I could sprint to the finish. It was a hectic sprint even though we were only 14 riders! I am happy - It was nice to win today. "I am super happy, we just finished the hard Classics in Belgium, and I didn't have the best legs there, but now I feel my legs have returned again. It was windy, a little bit cold, and a lot of echelons today that broke the peloton already after 50kms. I knew that Kirsten Wild and Jolien D'Hoore were there, very good and fast sprinters, and we are always fighting in the finales, but I just focused on my sprint, and it went perfectly. It's a good start to the week!"